What can be difficult about writing a list of references and adding a short description to each of them? Well, nothing. But somehow during this straightforward writing assignment students still tend to lose scores not because they are not skilled enough to complete it, but because it has loads of pitfalls and details one always has to remember. Here we will present you the best and the worst things you can do while creating an annotated bibliography – they will show you when your grade lowers down and how it can be raised. 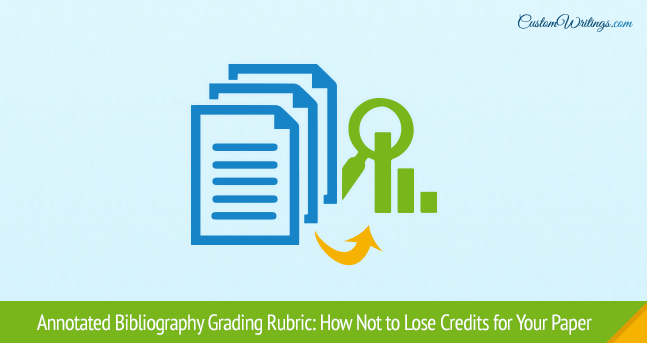 So, meet our annotated bibliography grading rubric and take those criteria into account every time you need to describe your sources! So, there are many factors that impact your grade for an annotated bibliography, and we bet that some of them have skipped your attention. 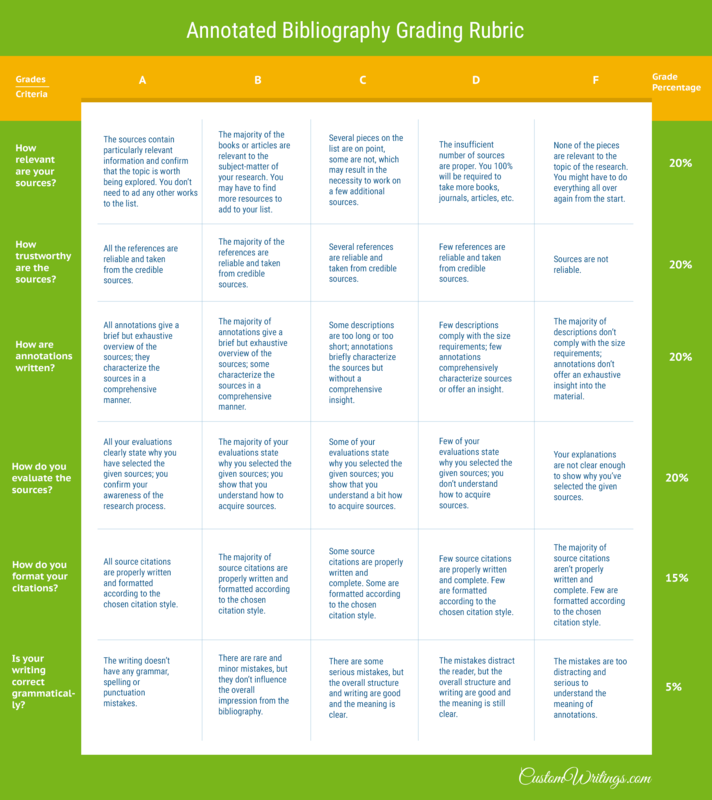 But that’s ok because now you have this table that you can use to improve this particular writing task. Just answer each of the criteria question while polishing your annotations and you’ll be able to eliminate the possibility of being downgraded. Good luck with that!